Giveaway Sponsored by Bolthouse Farms Giveaway Hosted by It's a Mom Thing Reviews & More Bolthouse Farms is a company committed to providing superior and more fresh products. They believe that it is incredibly important to connect people with fresher food in an easy and affordable way. Their beverages are MSG free, their 100% juices contain only fruit juice as a sweetener, and do not contain added preservatives. 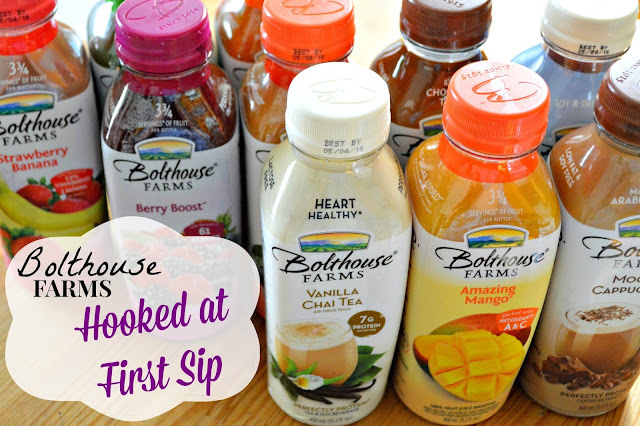 Bolthouse Farms offers a variety of beverages such as juices, smoothies, protein plus drinks, breakfast smoothies, and cafe options. Now you have a chance to enter to win a variety of their beverages! I would love to try the Tropical Goodness smoothie. I'm looking forward to the 1915 juices. I love Bolthouse!!!! My favorite is Chai Tea!